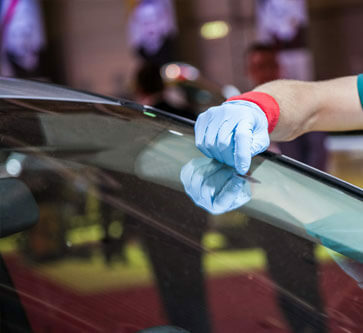 Repairing & Replacing Glass--Precision Auto Inc.
Smashed or Chipped–We Fix Windshields! Your windshield is probably the most underappreciated component on your vehicle. For many of us, it’s simply a place where bugs go to take windshields head-on. You might take your windshield for granted, until the outdoor elements remind us about how fragile our windshields can be. Highway debris, hailstorms, errant rocks and pebbles, and vehicle collisions can leave behind chipped or cracked glass. Not only is a cracked windshield unsightly, it can also be hazardous to you on the road, compromising your vehicle’s safety. Precision Auto in Germantown, MD is able to prevent any extensive damage to your windshield after an impact with quality windshield repairs. Our windshield repair services are able to repair or replace the damaged glass. If there’s a crack or a chip in your windshield, let our service experts fix it for you. We can return your windshield to its original condition today! Don’t let any cracked glass stand between you and the open road. Cracked glass can be a distraction when you’re driving. Our team wants to erase any damages that have been done to your windshield. No matter what the extent of your windshield’s damages, we have the tools and the experience to handle it. Precision Auto stays abreast of all the latest technologies and service techniques to make sure your vehicle receives the best windshield repair services. We encourage all Germantown motorists to bring us their windshield repair needs as soon as possible. You don’t need to drive around staring through compromised glass in the windshield. Let us erase whatever unattractive and distracting damages have been done to the windshield glass. Our technicians will either repair the glass or replace it, whichever is the best repair solution for you and your vehicle. Today’s the day you finally take care of that little crack in the windshield. Come to a shop that specializes in repair or replacing any of the damages to your vehicle’s glass. Whether it’s chipped glass in the front windshield or a cracked rear windshield, we know how to make it a distant memory. The sooner you return your windshields to their original condition, the safer and more confident you will be on the road. Leaving a compromised windshield will make it more susceptible to extensive damages. Let us make your vehicle’s cabin as secure as it can be with our expert windshield repairs. Give us a call today at 301-428-3447 to schedule your windshield repair service. You can also use our convenient online scheduling system! Next time you’re in the area, feel free to stop by with any questions or concerns about your windshield repair.